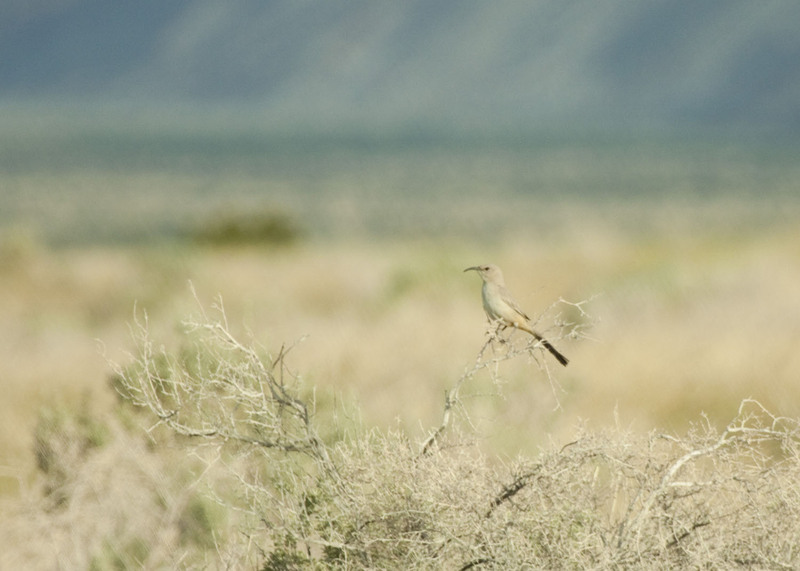 Le Conte's Thrasher - one of the desert thrasher species. After a couple of unsuccesful attempts to find LeConte's Thrasher around Borrego Springs, Rob and I spent the last morning of our trip in the area at Old Springs Open Space Preserve. Le Conte's Thrashers had been reported recently from this location, but they had also been reported from the other spots we had looked for them. We had never been to a great place for Le Conte's Thrashers so this was our first opportunity to see one. These thrashers have a very limited range in the southwestern United States. They live in some of the most arid, hot habitats that the U.S. has to offer. They start nesting in mid to late March, so our timing was on the edge of when the thrashers stop singing and start nesting. Interestingly, this species chooses to run instead of fly in many situtions which makes it difficult to find since it blends in so well with its desert habitat. So, we headed out into the desert just east of Borrego Springs to look for this elusive species. We hiked along a small wash into the desert which turned out very well. 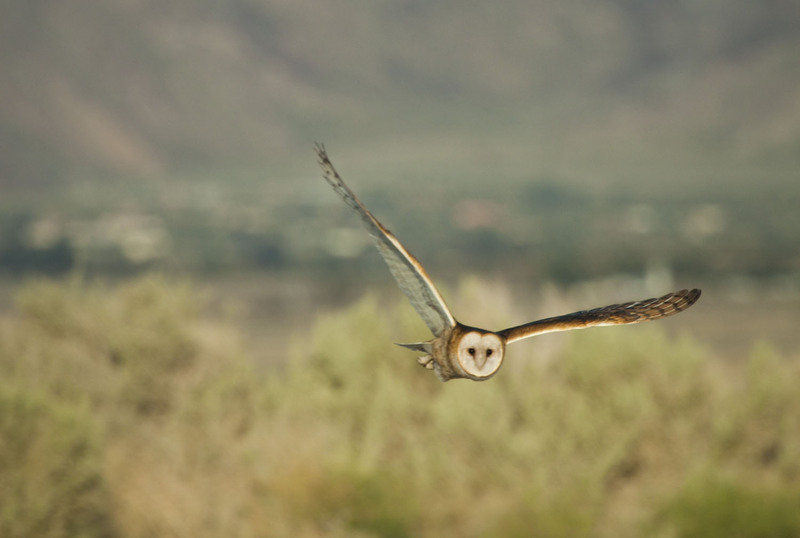 We had great looks at two Barn Owls, who were probably nesting in the wall of the wash. Luckily, one of the owls made a couple of close passes and Rob was able to get a photo. We then decided to split up to cover more ground, and after a few minutes a Brewer's Sparrow popped out. I called Rob over to see his lifer Brewer's, and while we were watching the sparrow, a Le Conte's Thrasher popped up into view. After brief views it moved into a bush and we were not able to see it for some time. We eventually found a nest that was being built so we didn't hang around too long in order to not disturb the bird. The thrasher show didn't end there. As we were walking back to the road, we ran into a flock of about 10 Sage Thrashers. If you like thrashers, this is the place to go!